She is Brunnhilde of Asgard and her legend precedes her. Once a battle-borne shield maiden, Valkyrie was handpicked by Odin to lead the Valkyrior, an order of warrior goddesses. She has been both an Avenger and Defender, yet always vanquishes evil with her own code of honor. WANT TO READ ALL THESE DIGITAL COMICS? Get instant access to all these and more! Join Marvel Unlimited Today. Valkyrie’s first appearance! Or is it? 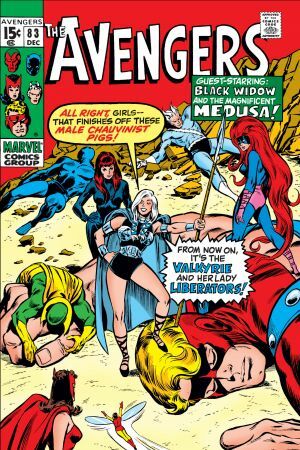 The women Avengers fall for the sales pitch of “Valkyrie”, who presents an inspiring (and totally phony) origin. Turns out, this “Val” is actually Amora the Enchantress under a cloaking spell! 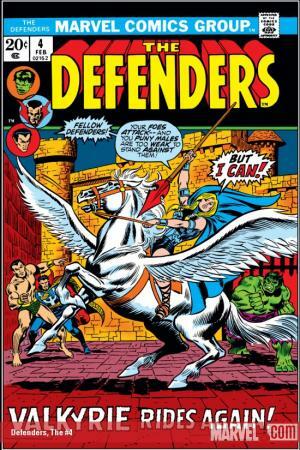 And Enchantress has used Valkyrie’s form to pit the Avengers into a Battle of the Sexes! 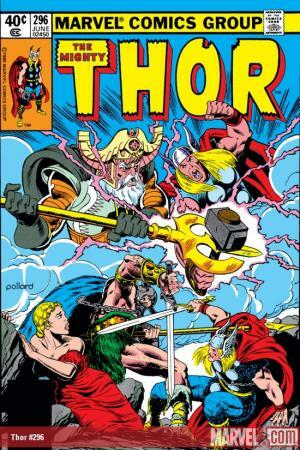 Just as Thor shared a body with Donald Blake, Valkyrie has shared her form and consciousness with a few mortal women. 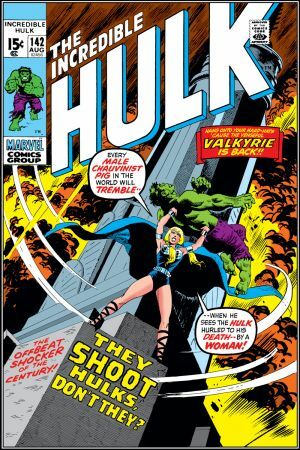 Here, social activist Samantha Parrington is granted the power of Valkyrie – and attempts to smash the Hulk himself! Playing out like a German opera, this arc through #300 reveals long-forgotten Asgardian lore as told by Odin’s detached eyeball (yes, really). Learn of Valkyrie’s forbidden love with Siegfried (who bears an uncanny resemblance to Thor), as well as her first bad brush with Odin! What punishment befits a woman who fails to smite at her lord’s command? Try a catatonic sleep while surrounded by a ring of fire! Valkyrie’s coming for Midgard! And she fights her first earthbound battle as only a “Collector of the Slain” can – astride her winged horse Aragorn! The Enchantress bestows Nighthawk’s wife Barbara Norris with the power, mind, and body of Brunnhilde. Norris is no longer – only Valkyrie remains! Following a tussle with a shapeshifting mystic, Val learns a cold reality about Midgard when she’s put in lockup! Though she be behind bars, still she is free! Read through #40 to witness a prison riot and swift justice served…by defense attorney Matt Murdock! 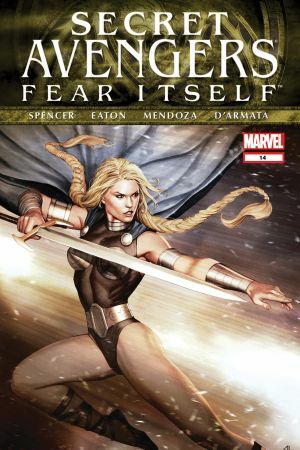 Valkyrie takes on Fear Itself in her origin issue! Sin, the daughter of Red Skull, has awakened an ancient Asgardian evil that has plunged the world into chaos. While rallying the army’s bravest men and women, Brunnhilde relives the memory when her courage inspired Odin to appoint her his Valkyrie. Eight mystical hammers have been strewn throughout the world, and it’s up to Valkyrie to ensure their safe return! But to who? 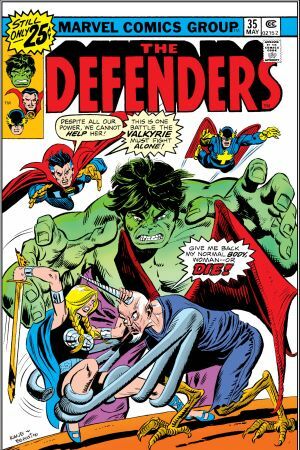 Captain America believes these avatars of the Serpent belong in humankind’s custody, while Valkyrie believes these relics should return to their Asgardian home world. Will Brunnhilde be collecting the dead once more in this latest conquest? Valkyrie’s starring series! An archaeologist accidentally awakens an undead army of Vikings – and Val is summoned forth! 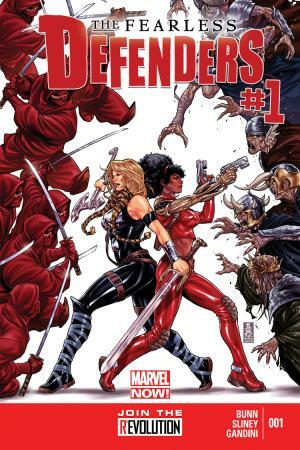 While ushering these zombies back to Hel, our warrior meets a worthy ally in Misty Knight!